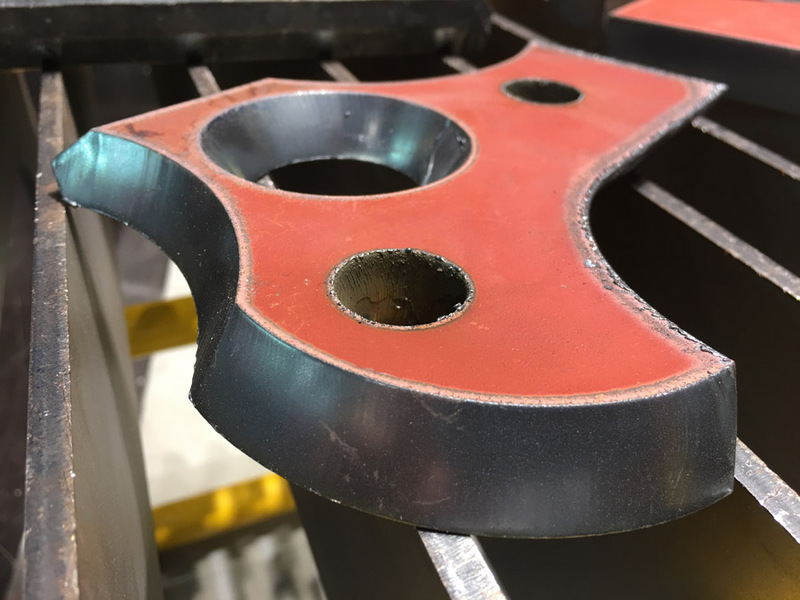 Investing in automated plasma beveling can be a smart business decision for a steel service center or fabrication shop that currently outsources beveling and plate preparation. The same can be said for a business that spends excessive time mechanically preparing plate for welding. In the past, however, investing in an automated plasma beveling system wasn’t exactly a no-brainer, considering many systems didn’t offer the reliability, efficiency or affordability that business owners were looking for. Fortunately, today’s direct-drive motors and new software are delivering automated systems worth serious consideration. 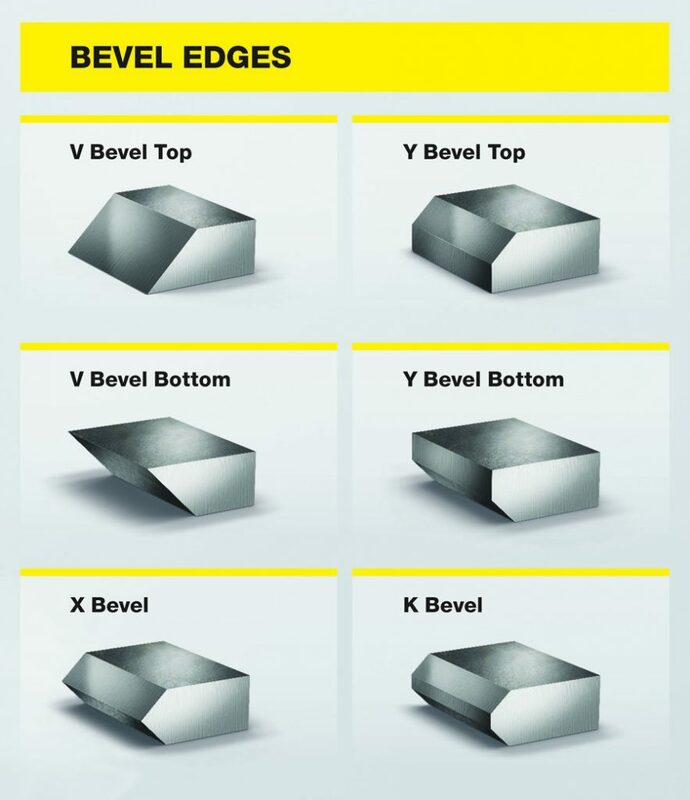 Typical joint preparations include V, X, Y and K bevels on mild steel from 6 mm to 50 mm thick. Recently, the technology has evolved, not only making it more affordable, efficient and reliable but also safer and easier to use. Plasma beveling requires a torch mounting system that provides fast, accurate five-axis motion (X, Y and Z, plus tilt in the X and Y planes). To accomplish this, manufacturers employ a number of devices, including rotating protractors, compound skew systems and hybrid rotary systems that combine a rotation axis with a tilt axis. Each of these arrangements features a large rotating mass. Supporting and moving such a heavy mass quickly and over a large work area requires a large gantry and plasma table. Smaller facilities can’t accommodate the sheer size of such a system, plus they often find it difficult to justify the $350,000 to $500,000 price tag. Even more detrimental, such systems are challenging to calibrate, maintain and operate because they use a multitude of gearboxes, belts, pulleys, limit switches and cables. And if that wasn’t enough of a barrier, cutting parts accurately typically requires many test cuts, along with the associated material cost and labor time. Fortunately, next-generation automated plasma beveling systems and software address every one of these user concerns, especially the need for high reliability and ease of operation. 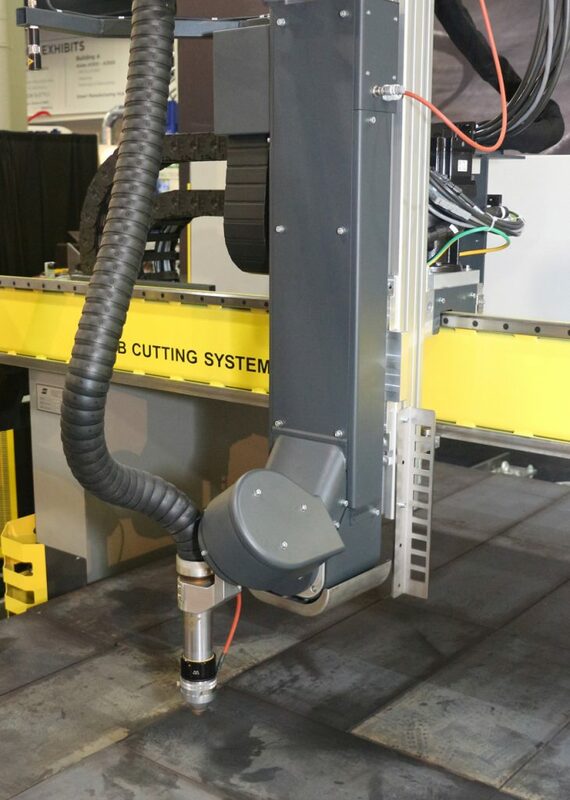 ESAB’s DMX Automated Plasma Beveller employs the industry’s newest state-of-the-art motion technology, combining two direct-drive motors, similar to some five-axis CNC milling systems, to provide torch motion for beveling in any direction. Direct-drive motors are a type of servo motor. With the motor shaft directly coupled to the load, they eliminate mechanical transmission components such as belts, gearboxes, cams, clutches, ballscrews, chains and sprockets. This automated plasma beveling system uses two direct-drive motors to provide simple and reliable five-axis motion. Note the lack of external cables, which improves reliability. As a result, they are not susceptible to belt stretching, gear chatter and accuracy loss as components wear and become geometrically imperfect. The direct-drive motors are enclosed and use a through-the-motor cable design to better resist the flames, molten spatter, heat, smoke and steam generated by plasma cutting. Most importantly for automated plasma beveling, direct-drive motors enable high-speed motion, fast acceleration and deceleration, and direction changes with ease. They eliminate backlash and, coupled with feedback from an internal absolute encoder, provide resolution better than 1/1000 of a degree in each axis, resulting in accuracy of ±0.0004 degrees. The combined size of two direct-drive motors is about that of a basketball. Their light weight enables using a smaller torch lifter. A plasma table designed for plate in the 5-ft.- to 10-ft.-wide range can easily support the lifter, which corresponds to a total machine width of about 12 ft. to 17 ft. Total cost for an automated plasma compact beveling and cutting system now starts around $120,000, bringing it within reach of operations with smaller footprints and lower budgets. Torch collisions occur during normal plasma operation, such as when the torch hits a tipped part or inadvertent obstacles left in the torch path or, when cutting over a water bed, the torch collides with the table wall. To protect the torch from damage during a collision, older generation automated plasma beveling systems use breakaway or spring-loaded torch mounts. Breakaway torch mounts release the torch during a collision, preventing damage to the torch. Spring-loaded torch mounts allow the torch to move during a collision, but then spring back into position after the obstruction is cleared. Both methods introduce some measure of inaccuracy and will never actually re-seat in exactly the same location. While this might be tolerable with non-beveled parts, the inaccuracy induced at the tool center point when beveling is unacceptable. As a result, some manufacturers recommend the operator re-align the bevel head after every torch crash, which wastes valuable production time. When a breakaway torch mount releases, the operator must manually reset the torch. On a large plasma table, the operator may need to climb onto the table to reach the torch, exposing the operator to falls, trips, cuts, abrasions, pinch points, burns and electrical hazards, all of which can be serious or even fatal. Automated plasma beveling systems using direct-drive motors do not require breakaway torch mounts, spring-loaded torch mounts or robotic collision sensors. Because the motors are coupled directly to the torch mount, the bevel head features “motion compliance,” which is the ability to back-drive the motors by a predetermined amount before an axis position error triggers a torch collision. Using two compact direct-drive motors to control torch motion enables plasma tables with a footprint as small as 12 ft. by 8 ft. When the system senses a torch collision, it disables the direct-drive motors, allowing them to go limp, which prevents damage. After the collision is cleared and the system resets, absolute position encoders enable the motors to return to their exact positions. The torch automatically resets in a matter of seconds without manual intervention. This capability adds no parts or complexity, improves safety and increases productivity. It works flawlessly even if the torch crashes during the table’s fastest repositioning move. The design is so simple and robust that almost nothing can go wrong. Automated plasma beveling systems with direct-drive motors do require alignment using an alignment device that plugs directly into the table’s CNC controller and, therefore, doesn’t have to go through an external laptop computer. The operator interface for the device guides the operator through the process, from setting the alignment device on the plate and leveling it, to plugging in the cable, to running through the motion and calculating new offset values, and accepting or rejecting them. The process takes about 15 min. and does not require wrenches or other tools to physically adjust the bevel head. In addition to addressing the physical limitations of older automated plasma beveling technology, ESAB also addressed software limitations with its SmartBevel technology. This technology includes beveling data and geometric compensations necessary to cut V, X, Y and K bevels on mild steel from 6 mm to 50 mm thick, and it integrates all bevel compensations into the CNC. This simplifies bevel programming and enables operators to quickly and easily fine tune the program at the machine, bypassing the need for engineers to compensate for torch angle, torch height, kerf width and cutting speed in the part program or nest. Next-generation plasma beveling software automatically compensates for kerf offset (shown here) based on plate thickness and bevel angle. It also automatically compensates for variations in torch height, bevel angle and cutting speed. This approach eliminates the need for trial-and-error programming, where the operator must go back to part designers or engineering for a new file that then again must be sent to the controller. Instead, operators can quickly and easily make any necessary adjustments at the machine, empowering them to produce accurate parts quickly and more easily than with other systems. For example, cutting a 6-in. piece with a 45-degree bevel is not as simple as tilting the torch 45 degrees. 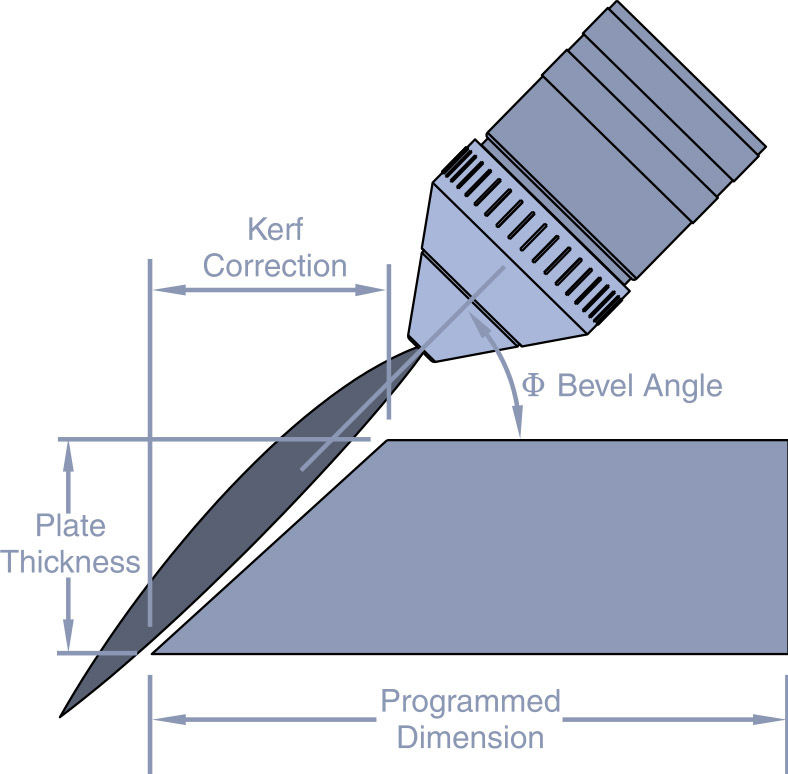 Operators need to account for kerf width as well as the fact that the swirl of the plasma gas inherently creates a slight bevel angle on one side of the cut. Further, these parameters change depending on arc length, torch height and torch speed, and torch speeds need to slow down for greater precision when cutting radii but can speed up on straight edges to reduce cycle time. So, cutting a 6-in. piece with a 45-degree bevel may require programming the torch to position itself at 6 1/16 in. and 47 degrees. With older technology, the operator cuts a test part and measures it. If it is not within specification, as is often the case, the operator contacts engineering and asks them to make compensations and send over a new file. Operators and engineers can waste hours and hundreds of dollars in material costs cutting test parts. With new technology, the operator can make adjustments at the controller and begin cutting production parts much faster. Steel service centers and smaller fabricators expect automated plasma beveling systems to “simply work” after installation and brief training – and now they do. No other motion technology surpasses the simplicity, reliability and performance benefits of direct-drive motors. When the inevitable torch crashes happen, operators can feel confident that they’ll be back up and cutting as soon as they clear the obstacle, without having to call on engineering. For those demanding precision, the next generation of software and controls enables accuracy without hassle. Further, they enable cutting the bevel shapes that optimize weld quality, cycle time and consumable use. With a price tag that’s now significantly lower than older technology, what’s not to like? 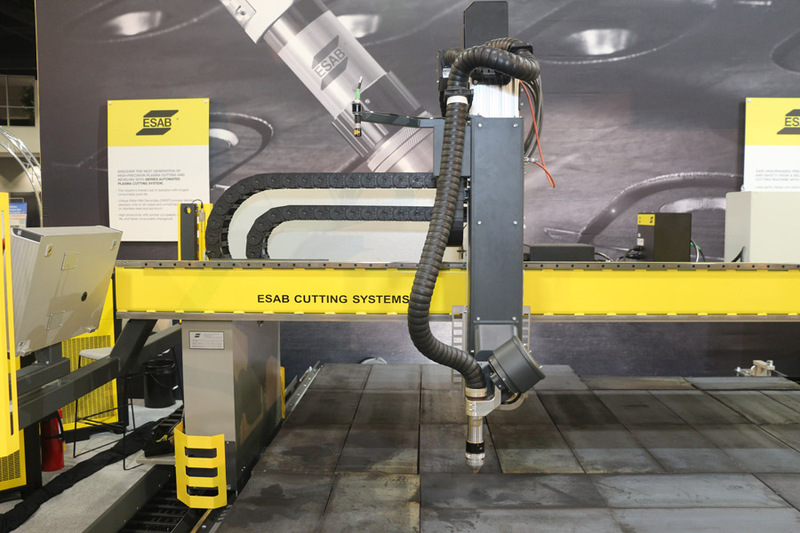 From 6 mm to 50 mm thick, ESAB’s automatic system produces high-quality bevels on mild steel.